Pam Lindemoen, St. Luke’s Health System’s vice president of Acute Care, is the most recent addition to my senior leadership team. She has a wealth of experience in progressive health systems and brings with her a vision for the future that is aligned with ours. Pam is today’s guest blogger, and shares her thoughts about the hospital and health system of the future. In my office, I keep a large hourglass. It’s a reminder for me, not of time, but of the need to redefine the fundamental building blocks of how we deliver care. If you place an hour glass on its side, and think of the patient experience along a continuum of care that takes into account prevention, ambulatory, acute and post-acute care, health and wellness, the hour glass becomes a reminder. It is a reminder of the need for those of us in health care administration to pivot away from hospital-centric thinking to focus on improving overall health, and to shift perceptions that we are hospital systems to instead think of ourselves as health systems, with inpatient care symbolized by the smallest part of the hour glass or continuum of care. Here’s my thinking, based on years of work leading large and very large health systems. We need to disrupt the traditional health care model. Becoming a health system means we will need to evolve toward service and clinical integration by developing systems of care with a focus on creating seamless services organized around patients’ specific needs, shifting from a campus approach to one that moves us into the community in convenient, consumer-driven, low-cost settings that deliver top quality and safety outcomes. I joined St. Luke’s near the end of last year because I could see that the system and its leadership were committed to doing it a different way, a better way, and were uniquely positioned and suited to succeeding. As has been well-documented here on Dr. Pate’s blog, St. Luke’s has proactively moved to take on substantial financial accountability for the care outcomes experienced by patients – the shift is referred to as taking on risk – to move the organization increasingly in the directions we know we need to go. That commitment was the magnet that drew me to join the organization near the end of last year. St. Luke’s vision, creation of the St. Luke’s Health Partners network of aligned clinicians and other elements all are in place for powerful transformation. The element I am most interested in at this point, and I say this as the executive charged with operating all of St. Luke’s hospitals, is how we best deliver care where people are. Creating a system of health for me means no longer organizing care around discrete, unbundled entities. The care systems of tomorrow will focus on oversight, entry and access, and success will hinge on our ability to connect patients’ needs across the care continuum in different ways and to blend capabilities with partners across nontraditional locations, sites and services. Not, how we do that in the hospitals. Where people are. Schools. Workplaces. Public spaces of all kinds. In the kinds of ways that work for them. Pop-up clinics. Kiosks. Virtual connections, such as email, virtual consults, retail clinics both primary and chronic. Truly connected care. The limitation to health care effectiveness in the United States, I have come to believe, has been that we are less nimble than we could be. That has meant, among other things, that for the most part, people have needed to attend to their care needs on the terms of health care providers, which does not necessarily serve them and certainly does not serve many. Going forward, the ability to manage and be a part of integrated relationships and partnerships in the communities we serve, building systems of care to create a health system, I believe, will be a core competency and key to success. Let’s take the generally well person, someone who is generally engaged in managing their health. The generally well person does not want to visit a hospital. The generally well person does not really want to visit a clinic. The generally well person is aggravated by having to wait until one of our buildings opens for the day to conduct business. The generally well person is focused on fitness and wellness, prevention, managing long-term health care costs and minimizing degeneration of their health. When we are honest with ourselves, the generally well person should have very little business with us, and should certainly be able to do that business on demand, conveniently and easily accessing provider expertise through email, walk-in appointments, fitness and wellness services and real-time information and interactions with their primary care physicians or midlevel providers. Most of those who engage with St. Luke’s are generally well, and that reality becomes the charge to us to design fluid, flexible delivery systems that get primary care, prevention and wellness services to that population in a distributed, user-friendly way wherever they are. On the opposite end of the spectrum, there are very, very sick people and chronically ill people with extensive comorbidities and medication management needs, those facing cancer and traumatic injury and complicated diseases, for whom medicine and hospitals work and work well. We have the opportunity to reimagine how our care can interact across the continuum for this population by providing remote specialty care through telemedicine, virtual response teams to ensure early intervention, mobile critical care technologies, managing care transitions and reducing the need for readmissions and lengths of stay in our most expensive settings. That hourglass? The little, narrow neck in the middle, where the sand drains through nearly one grain at a time, is a perfect symbol for acute care and how hospitals should rightly be positioned in health care. It’s why I have carried my hourglass between my various leadership roles over the years. We must be nimble enough to meet all needs, where and when the needs arise. One model doesn’t, and can’t, fit all. So I am interested in a new way of thinking around patient-centrism, and building new DNA into our thinking. And for this to happen, patients must be at the table. They must inform and shape our approaches. Our challenges, given our footprint, have to do with being able to react more quickly, to create care models for various patient profiles and leverage technology in ways that work for the various types of people interacting with us. St. Luke’s is in an enviable position to serve as a connector in our communities and to design care models for the populations we are serving, systems that work for them. So, for example, we might look at designing mental and behavioral health programs within schools and school districts, in close collaboration with others in the community who are also focused on related services and combining our expertise to provide care along the patient journey. I believe that care management and connecting pieces of systems for well-defined care models, so that people can access what they need in their homes, at their workplaces and in their schools, will be foundational components of successful health care delivery going forward, and that St. Luke’s can and will be a leader in these spaces. 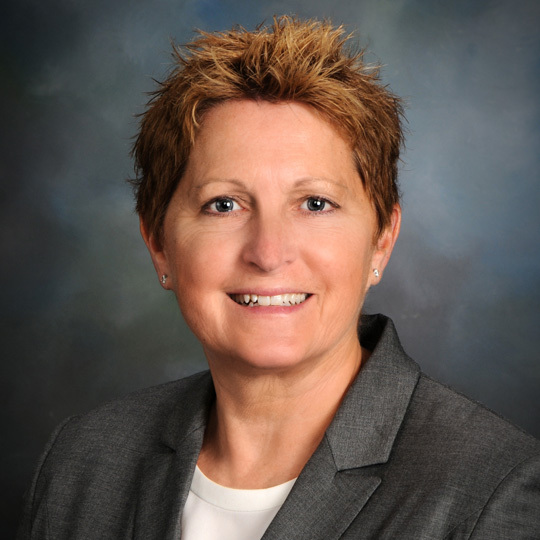 Pam Lindemoen is vice president of Acute Care of St. Luke's Health System, based in Boise, Idaho.